For the Ohio Players, a relatively subtle cover, and it's a fairly obscure blaxploitation album too, taken from a late 70s Fred Williamson flick. So what about the music? Interesting, definitely interesting. 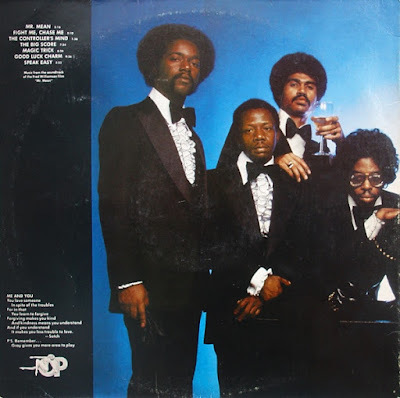 The Ohio Players were never the funkiest of funk bands, often adding a little too much rock to their sound for most funk enthusiasts. For this album, they stray away from their usual multi-layered vocal, add some more brass and analogue synth to the mix. Obviously viewed as an album that gave them more room to experiment, many of the tracks on here are instrumental and played in odd time signatures, but still groove. Don't expect a dancefloor bomb, but it's a good listen, with plenty of samples to boot. The Ohio Players were never the funkiest of funk bands?